Maybe you’ve noticed I don’t write a lot about Casablanca here; I rarely spend any time there. But, I do get lots of questions from people that are planning to visit. 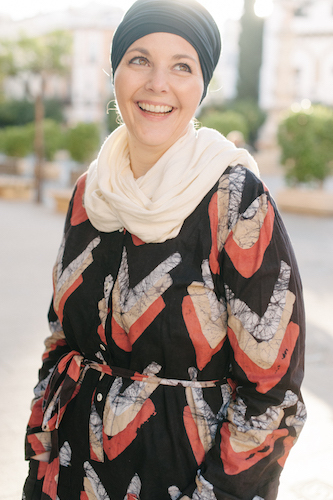 Instead of chalking up my lack of experience here I enlisted the help of my friend Monika of Bewildered in Morocco to share her insight to the city. Most people think of the movie Casablanca when they think of the city, the two are not much related. If you’re visiting the white city, read this first. 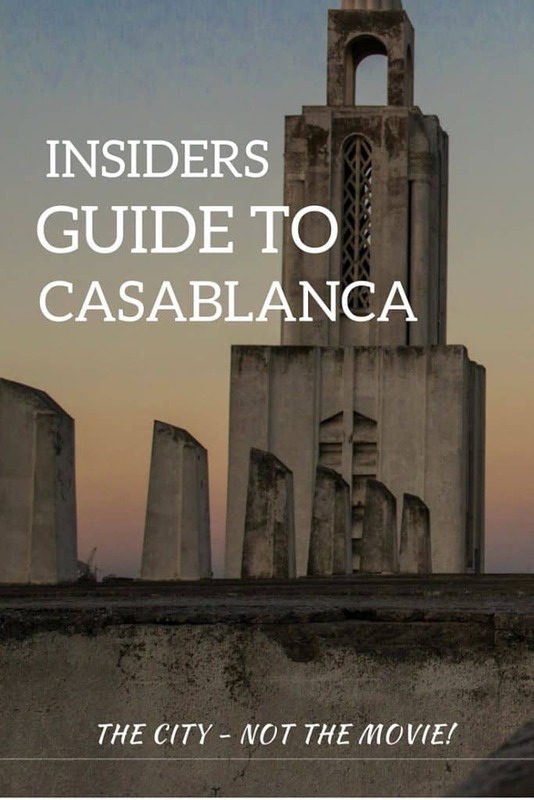 Casablanca is not a touristy city. It’s a jungle. The city is not stunning and it won’t leave you speechless because of its beauty. If you’re planning to come here and don’t want to be disappointed, I have some tips for you; which places to see to feel the spirit of the city. I am deeply in love with it maybe because I’ve discovered its secret places. Let me unveil the mystery for you and take you for a ride around the city of white houses. Most people hit the famous spots such as The Old Medina, La Sqala restaurant and Hassan II Mosque. I don’t say it’s bad – these are definitely worth seeing! I will just add some more spots to make your trip more authentic and let you feel the non-so-obvious magical spirit of Casablanca. Sacre Coeur Cathedral is a place forgotten by Casaouis. Not many go to this place. Such a shame. It gives an amazing view on the entire city – you can take aerial shots, admire the sunrise or sunset and see the rooftops of Casa. How to get there? Ask the taxi to take you to Sacre Coeur Cathedral on rue d’Alger then tip the guardian (20 dhs per person) and climb to the top! That’s Casablanca that we don’t know – peaceful and calm. Far from traffic jam and noise. Habous is a place like the medina. It’s an old city surrounded by concrrete walls. Habbous is quite far from the city center so not too many tourists go there. What’s so special about it? It remains authentic. The place is divided into sections: olive market, sorcery market, houseware market… Trust me, you can find everything there, from dead birds for witches and local specialties to fake clothes and temporary henna tattoos. Sounds so obvious, right? True. Everybody goes to the port for fish. Most people hit the famous restaurants and pay crazy amounts of money. I always go deeper in the port and sit on a bench – the place is dirty, ugly, smelly but the food is delicious. The only option is the smenu of the day, they serve whatever the fishermen catch fresh. 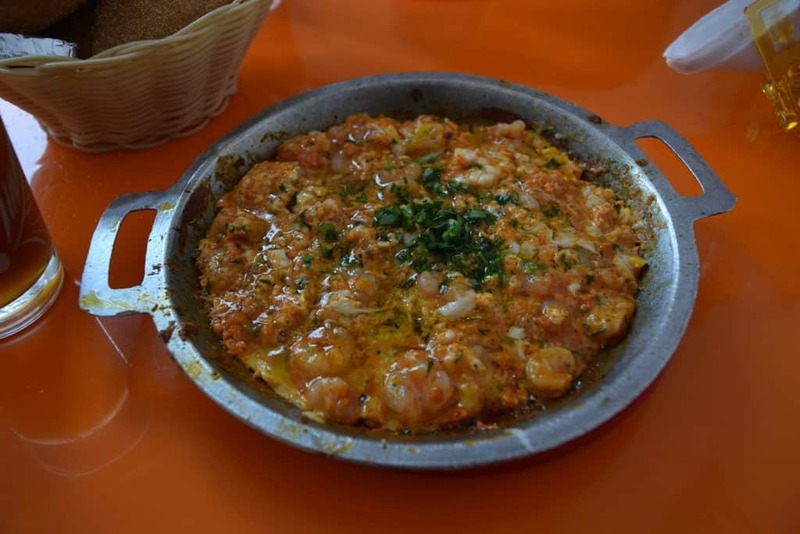 It’s usually a plate of fish, mkilla (eggs with shrimps), tea, bread and sauce. All that around five times cheaper than in the nearby restaurants! It’s an old military base and some ruins. At the first sight – nothing special. If you stroll down to the rocks you will see magical places, a breathtaking view on the ocean and Hassan II Mosque. It’s a place for amateurs of peysage photography. It doesn’t cost you anything but the moments you can spend there are priceless. Peace and nature, something that is genuinely hard to find in Casablanca. 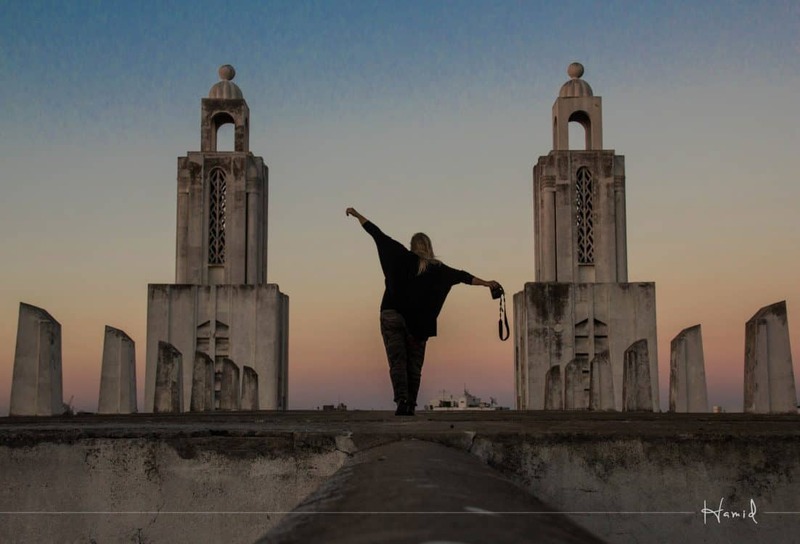 Monika is a Polish expat living in Casablanca. She blogs at Bewildered in Morocco and you can follow her on Facebook, Twitter, and Instagram.